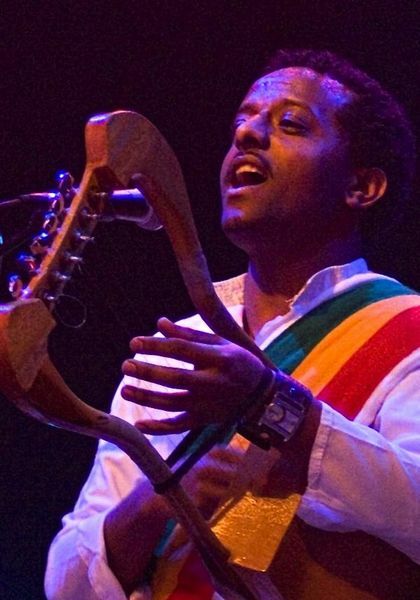 Krar is the Ethiopian 5 or 6 stringed harp. 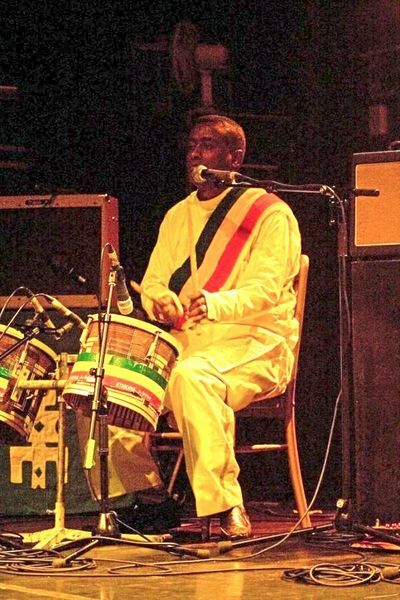 The KRAR COLLECTIVE (aka Geata Krar Collective) are Temesegen Tareken (aka Temesgen Zeleke), a former pupil of veteran Ethiopian vibraphone player Mulatu Astatke, on Krar, Robel Tesfaye on traditional Ethiopian Kebero drums, and singer-dancer Genet Asefa. 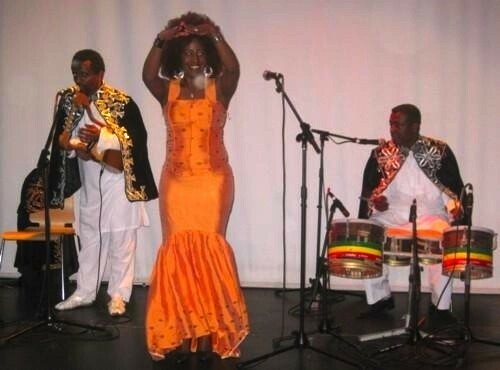 They are sometimes joined by other musicians, singers and full dance show with 4 dancers. 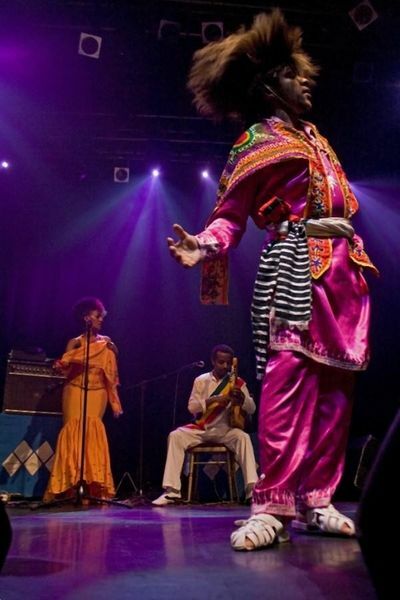 "Dynamic roots music and dance from different parts of Ethiopia"
The band developed through Genna Ethiopian Arts and Theatre (GEAT) and has performed regularly at Celebrating Sanctuary festival as well as at other festivals and venues in the UK. 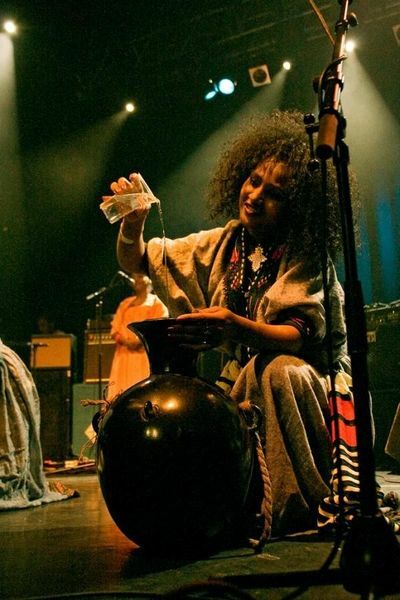 GEATA KRAR COLLECTIVE bring you dynamic roots music from different parts of Ethiopia and different tribal traditions with a contemporary edge. Don't expect to sit still at a Krar Collective gig! This is music to take you to a different place, to move your soul and rock you with hypnotic rhythms. 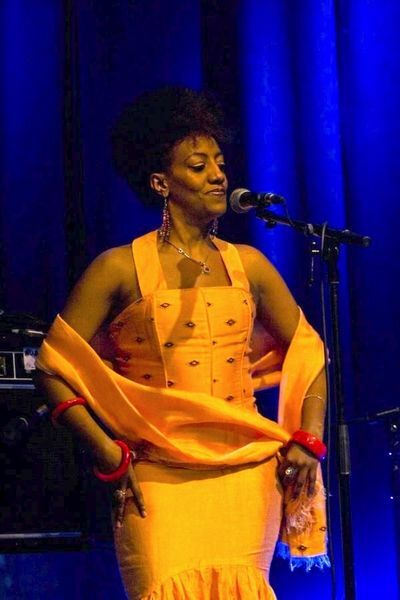 In 2012 The Krar Collective took part in the Africa Express project along with many big name artists and also released their debut album "Ethiopia Super Krar". Debut album by The Krar Collective. Released on Riverboat Records (part of World Music Network) on 10th September 2012.